Waldegrave students have been reflecting on the upcoming centenary of the Armistice and taking part in the #ThankYou100 campaign to recognise the contributions made by the generation of 1918 to the world we live in today. 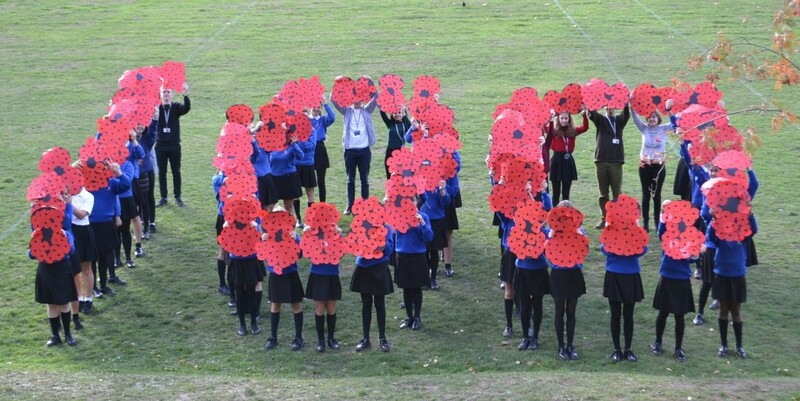 Each tutor group made a large poppy, formed from the individual responses of students in that tutor group, thanking the women, people of the Commonwealth, and innovators, as well as those who fought on the front line. They will be displayed in the school foyer, alongside the textile art (based on John Macrae’s poem “In Flanders Fields”) that Mrs Davies’s classes made in 2014 at the start of the WW1 centenary commemorations.